The nearest railhead from Tarkarli is Kudal, about 45 km away. We took the overnight Konkan Kanya Express from Mumbai and reached Kudal around 8.30 AM. Outside the station, taxis and autorickshaws are abundant and it takes another hour to reach Tarkarli. The timing of this particular train is very convenient, but it is also in high demand with the Goa crowd. So a trip needs to be planned atleast 6 weeks in advance - we had to do the bookings in October for a December trip. Food on the Konkan Railway is a pleasant surprise - far far better than any other trains, barring the Rajdhani (and even the Rajdhani does not offer you so many choices). Alternatively, one could take the Goa Volvo buses and get down at Kudal. Or if you enjoy driving, just hit the Goa road (NH17) and continue till you reach Kudal (but I suspect 500 km of driving on the NH17 wouldnt be everybody's cup of tea). And if one really wanted to use the airports, theoretically they could fly to Goa and then drive to Tarkarli in a couple of hours. There are two great places to stay in Tarkarli – MTDC's Resort and Saagar Sangam Resort. MTDC has the best location right on the beach, with cottages set amidst a grove of casuarina trees and separated from the beach by just a wire fence. The trees ensure that you are never under the strong glare of sunlight and the cottages, although not the epitome of luxury, are cozy and comfortable. 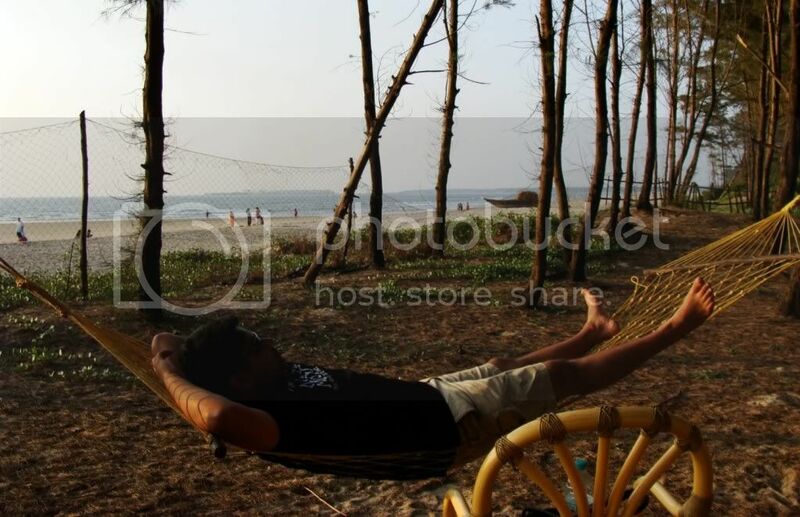 But the killer feature of the MTDC resort has to be its hammocks – there are quite a few of them – and not too much in demand. So you can laze around on them for as long as you want. The non a/c cottages (all accomodation is cottages only) cost 1,800 each. 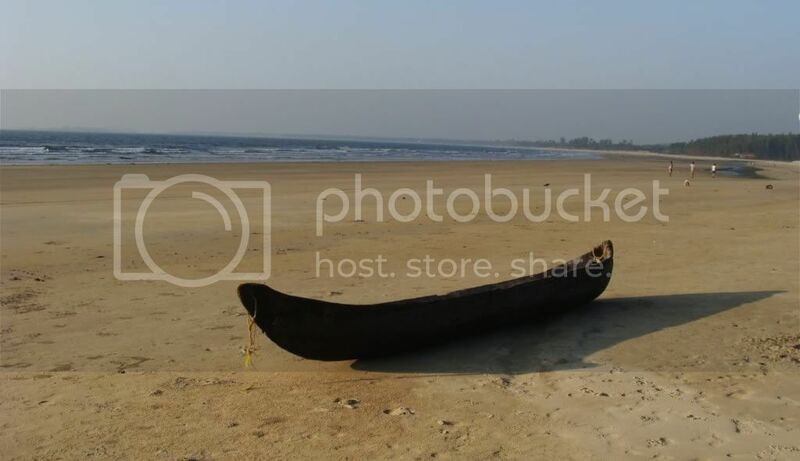 The other good option for staying is the Saagar Sangam resort (http://www.saagarsangam.com) which is situated at Devbag, near the confluence of the Karli river with the Arabian Sea. 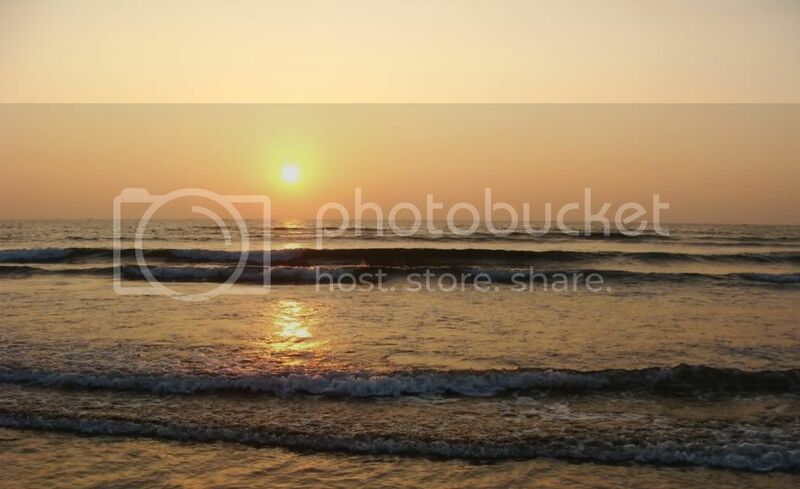 It has views of both the estuary and the beach, and has a nice river-facing restaurant as well. Both MTDC and Saagar Sangam are not large resorts, so again, try at least a month in advance, especially for the holiday season or public holiday weekends. We got the last available rooms in December in MTDC when we booked in October. Other than these two, staying options are essentially small 6-8 room homestays/lodges that offer nice rooms close to the beach, but with very limited food options. While the restaurant at MTDC is no gourmet restaurant, the food was at least tasty and available throughout the day. We thought food there was better than the restaurants at other MTDC resorts. For the meateaters among you, a meal in a Gomantak restaurant in Malwan should be a must, especially if you like seafood. Although the annoying part was the prices of seafood - it was cheaper than Bombay, but only just. Tip – If you are a larger group, the MTDC resort has two boat-like structures called boathouses (not houseboats). They are built on the edge of the MTDC property on the beach, each having 4 rooms each, and cost around Rs. 8,000. Perfect for a group of young people – where they can party etc, without disturbing the others. Tip - MTDC also offers two proper Kerala-style houseboats on the Karli river. But they were on the expensive side at 4,000 a night. With its fabulous white beach, jumping into the waters was the first thing we did ! The beach has a negligible gradient and hence was not very deep even when we ventured a fair bit into the sea. The distance from Bombay is actually a blessing in disguise, because even in peak December season, we couldnt see more than 40-50 people on the beach at any time. 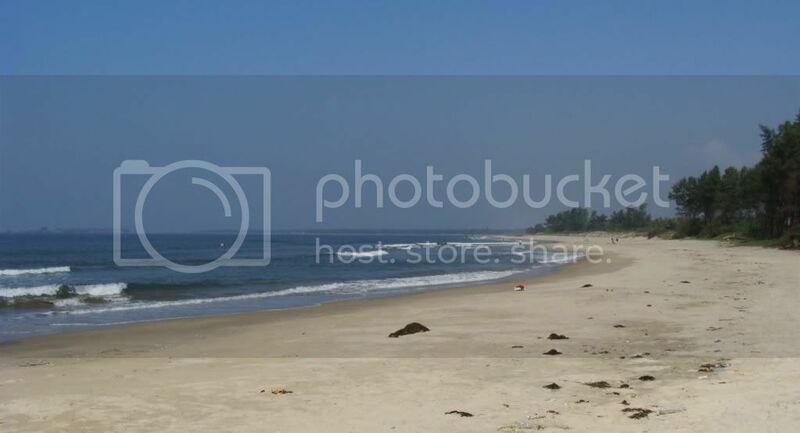 This beach stretches for at least 6-8 kilometers and you can decide for yourself how untouched the beach is with the abundance of starfish washed up on the beach. They are easy to miss because of their sand covered tops, and only visible if you scan the waterline carefully for the star shaped grooves. But you will find them very slowly creeping back to the waterline every few meters or so. Once we were done walking on the beach and counting starfishes, we went for the dolphin ride. It is a similar ride to what you might have done in Goa maybe - boats head out at the crack of dawn to try and track the dolphins. Why dolphins are visible only early morning is a question we forgot to ask. But nevertheless, we reported at Devbag early morning and started off from the Karli backwaters. The first part of the journey is through the very peaceful Karli river backwaters. Soon we were out in the open sea and we were lucky I guess - we were rewarded by lots of dolphins, bobbing up and down, breaking surface all around the boat. They were too fast for our non-SLR camera, but the experience was easily worth the price. The boats werent the bare basic wooden canoes - they were largish boats with plastic chairs set as seats. Each boat's capacity was 6 or 8 I think and it was overall a very comfortable ride. An add-on option to the dolphin ride is the private beach trip. The boat takes you down the coast to a smallish beach surrounded by rocky cliffs, making it seem approachable only by sea. You get half an hour there, and it is just an extra photo opportunity essentially, with cliffs in the background. But it is nice to be the only people in a small beach, very romantic. 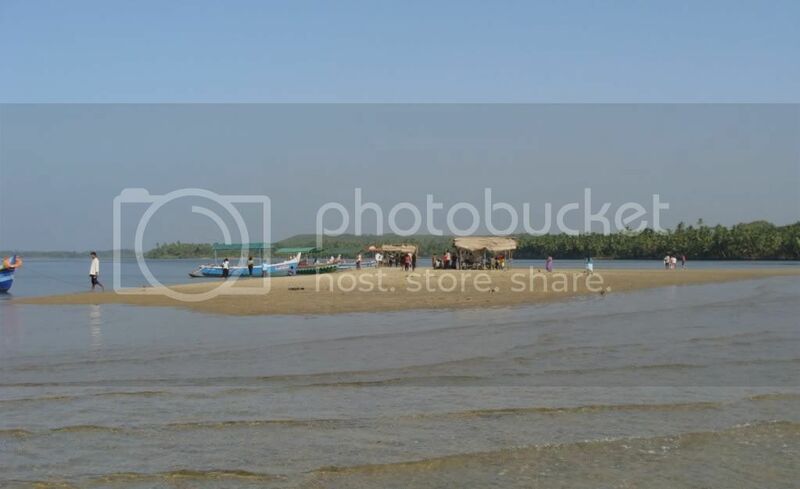 On the way back to Devbag, in the Karli river, very close to the estuary mouth and bang in the middle of the river - is a shallow sand bank barely rising 6-8 inches above the water. Some enterprising locals have set up a couple of open shelters, and serve limited bites like Neer dosas and idli with chutney and coconut water, nimbu paani, tea etc. The charm of the place is that nothing is cooked there - whatever you order will be brought by a man from one side of the river in a canoe. So you place your order and settle down to relax - or watch the man row across the river with the tea flask. Utterly charming !! 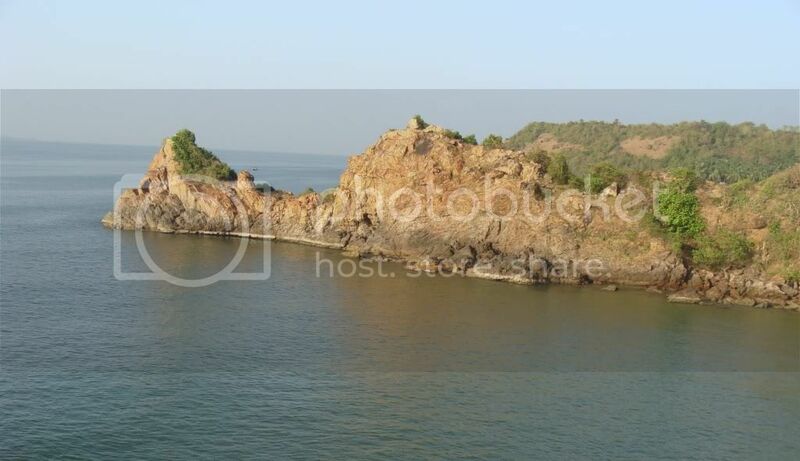 The other must-visit site in Tarkarli is the sea fort of Sindhudurg, near Malwan. The fort is massive (bigger than the more famous Murud Janjira). The only way to approach this fort is on boats, which cost 40 per head and give you an hour in the fort. Once there, we tried walking around the entire fort on its walls - they are easily 4-6 ft thick and offers great thrills because of the loose stones at the top. But it also makes walking on it a bit difficult. I like to think we managed to cover half the fort, but in reality, we did a little less than that before we were forced to return back to the boat. 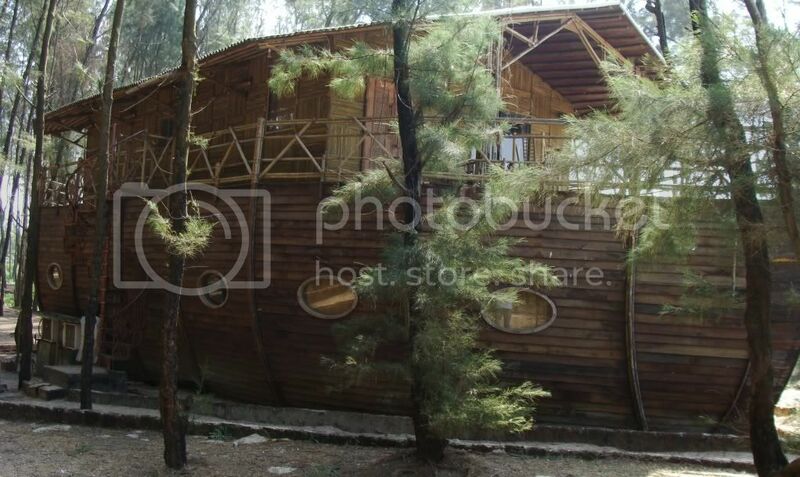 The other option is to hire a boat for the full day at around Rs. 500. The fort is a living fort i.e. people still live inside it, so none of the original structures inside exist – and hence not much to see inside the fort. Only the outer walls are original, and awe inspiring. And the topping on the cake was the snorkelling. 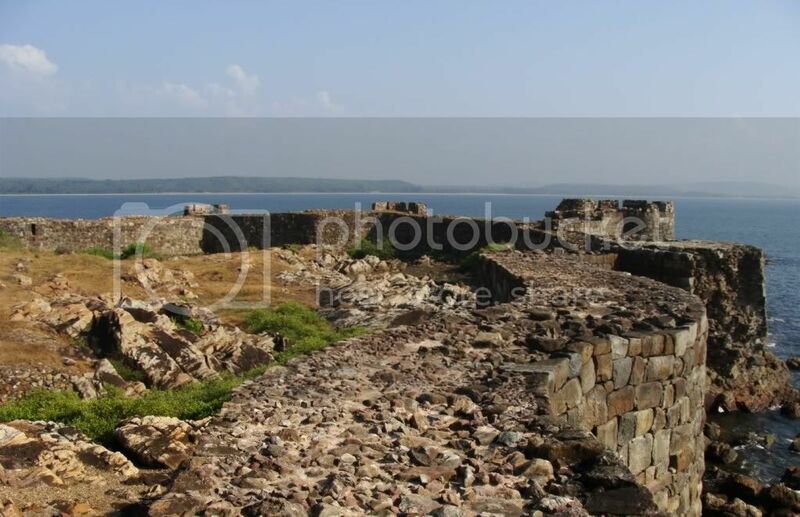 Off the walls of the the fort Sindhudurg fort lie corals. The water is slightly less than clear, but there are enough colorful fishes to be seen at depths of around 6-10 feet. The whole thing seemed so exciting that my mother-in-law, who doesn’t even know swimming, dove in with an inflated tire around her. And finished her snorkeling just fine. Cost was Rs. 350 per head and we shared the boat with one other family from Britain.